Scientists with the United States Geology Survey (USGS) have created a hand-held spectrometer to determine if vermiculite insulation contains deadly amphibole asbestos. The recent innovation should provide a time-saving technique for commercial and home inspectors. Currently, inspectors must send samples to off-site laboratories before making that determination. The findings were published in the April 2 edition of American Mineralogist. Vermiculite insulation is no longer used in new construction, but an estimated one million homes in the U.S. still have it, according to the USGS. 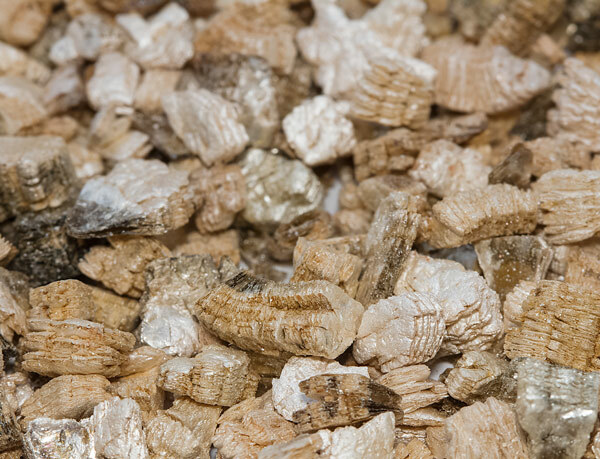 Vermiculite is a naturally occurring mineral that is perfectly safe when pure. Unfortunately, an estimated 75 percent of it came from Libby, Montana, where it usually was contaminated with toxic amphibole asbestos. Exposure to asbestos is the main cause of mesothelioma, an aggressive and deadly cancer. Vermiculite used in the U.S. also was mined in Louisa, Virginia; Enoree, South Carolina; Palabora, South Africa; and Jiangsu, China. Asbestos is rarely found in the vermiculite that comes from these locations. The spectrometer works by identifying the source, which involves differences in elemental composition that are measured by electron probe microanalysis. Swayze and his team examined 52 vermiculite samples from the five sites, including those from attic insulation, horticultural products and commercial packing materials. Asbestos was found in all of the nearly two dozen samples from Libby, but little or none was found in the vermiculite from the other four sites. The vermiculite from Libby is part of the longest man-made environmental disaster in American history. It was mined there for more than 50 years, ending in 1990. The insulation, which was known by the brand name Zonolite, is most often found in residential attics. What made the Libby vermiculite so dangerous was its proximity to asbestos deposits. Decades of mining the vermiculite mixed with asbestos fibers led to the death of hundreds of residents in Libby and thousands more who are suffering from various asbestos-related diseases. The United States Environmental Protection Agency (EPA) began its cleanup of Libby in 1999. In 2002, the EPA declared the site a public health emergency, officially giving it Superfund status, a federally funded priority. The portable spectrometer will allow inspectors to make the asbestos determination in a matter of moments, allowing remediation decisions to be made much sooner. It also would be useful to have the information before a major home renovation project begins, eliminating the uncertainty that exists when insulation is disturbed. No amount of asbestos exposure is safe, according to the experts. Although this technology was patented in 2014, it has yet to be used commercially. The recent journal report in American Mineralogist is expected to spark the licensing procedure. The projected cost of the spectrometer is $50,000, making it pricey for an individual homeowner but potentially attractive for an inspection company looking to streamline its work.